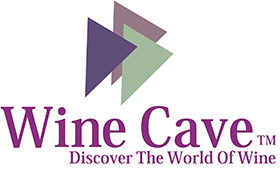 Coupling style with premium wine storage capabilities, the Cava 36-Bottle Wine Credenza is the perfect addition to any space. 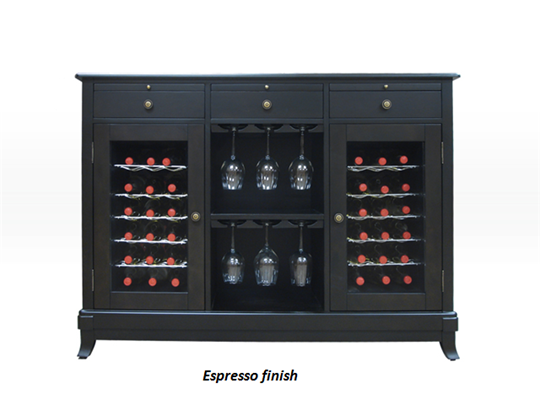 With the ability to hold up to 36 bottles in two independently controlled refrigerated units, up to 18 wine glasses in the central hanging stemware racks, and all of your favorite wine accessories in its 3 storage drawers, the Cava Credenza is the perfect solution for serving and storing your wine collection. 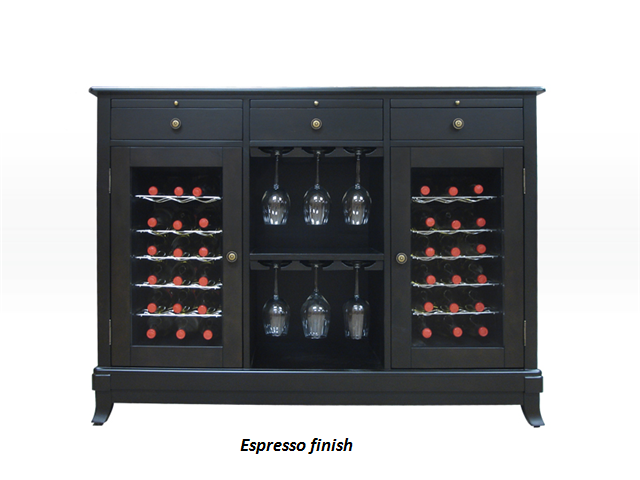 Other features include 3 pull-out service shelves, dual thermoelectric cooling systems, a rich wood exterior in rich maple, or espresso finish, dual-paned glass doors and soft interior lighting to beautifully display your favorite wines.